One Ghana, One Voice: Which artist from the Americas most influences Ghanaian poetry? Which artist from the Americas most influences Ghanaian poetry? 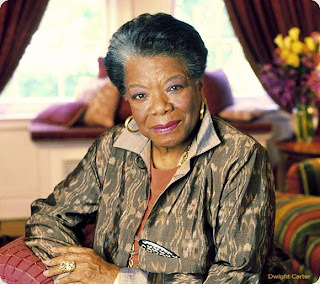 Maya Angelou was listed as an inspiration by thirteen different OGOV poets, followed by Mutabaruka and Langston Hughes, with nine and eight mentions, respectively. Maya is back! The most influential female artist is also the most influential from the Americas. Of all the "continental" lists, this one is by far the most diverse. It features the most female artists (3) and the most musicians (2). Four of the artists are living, while eight have died. Six are of African descent, while six are not. Click here for an overview of this project, and to read other similar lists.